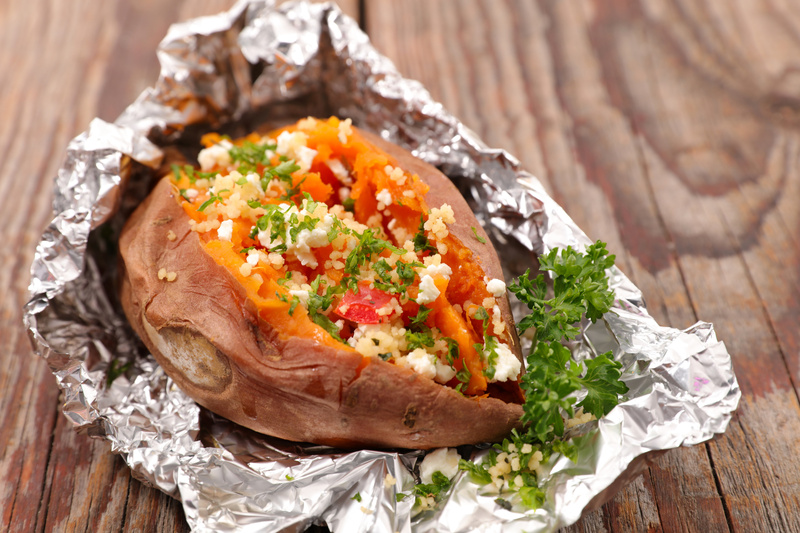 Prepare sweet potato in oven/microwave. Prepare chicken in skillet or grill (then cut chicken into small pieces). Cut open sweet potato and top off potato w/ cheese, greek yogurt, chicken and BBQ sauce. Enjoy this incredible meal!